INDIPENDENT – Parachutists on a trip in western Slovakia survived a mid-air collision with another plane by jumping out moments before the crash. 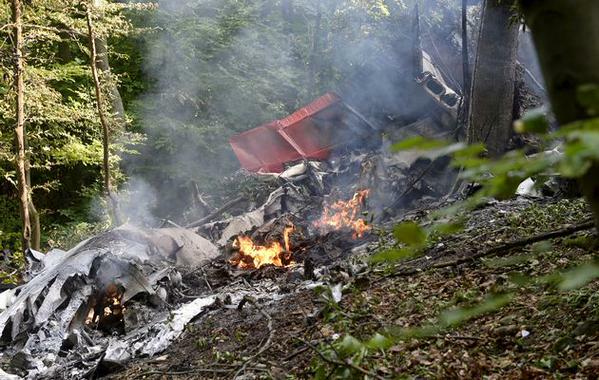 The first images from the crash site, broadcast on Slovak news channel TV Markiza, showed the burnt-out wreckage of one of two L-410 twin-engine planes involved in the accident. Juraj Denes, an official with the government air accident investigators agency, said some survivors had managed to parachute free before the two planes crashed at an altitude of around 5,000ft. He said preliminary reports suggested around 40 parachutists were on board the planes at the time.